One of the most promising and exciting times in music is among us: the age of women. This is a sad statement considering genders should not be competing against each other, but unfortunately this is the insane world we live in. In the last year alone there has been a duly needed uprising of band’s with women or made up entirely of women. Mitski, Sadie DuPuis of Speedy Ortiz, and PINS are all prominent activists in the music scene, and DuPuis even rocks a “Gender is Over” shirt on her amp. Though we may never reach an age where female artist’s will outnumber male artists, bands like PINS continue to exemplify the power of women in music that is gaining strength every day. Girls Like Us was their first full length, released in 2013, and it shows an energetic style that Wild Nights perfects. Wild Nights mixes the aggressiveness of Hole with the haze and buzz of My Bloody Valentine and adds a punkier surf element. The songs are simple yet gripping and attractive. “Young Girls” was an obvious choice as a first single to release as it’s simply the most catchy, but the each song offers something unique to complete Wild Nights as a whole. “Oh Lord” spews with fuzz and forceful attitude, becoming dynamic as it dips in and out of loud spurts and quiet, eerie passages. The emotional themes on Wild Nights seem to stay in the realm of love, relationships, and growing up while moving fluidly through the subjects. Another common element of PINS’ sound seems to be having short, concise song titles that are chanted as the choruses, or vice versa depending on the writing process. This can be part of the general hook that comes from PINS’ simplicity, but it can also be seen as a downfall of the album. Looking at song titles after becoming familiar with the songs, one can remember every chorus simply because it’s the song title repeated or chanted. While this is common with punk bands, it begins to lack diversity in this case. It’s a kind of musical conundrum: writing songs with short, catchy choruses that everyone will remember but may also get bored with very quickly because they are all equally simple. The one exception is “Too Little Too Late” which has some weirder vocal patterns and sheer, pummeling force that, if used on other songs, may have given the Wild Nights more variety. While Wild Nights overall is a fine piece of art, it can get repetitive, but the most important thing is that PINS is happy and having fun with what they are doing. 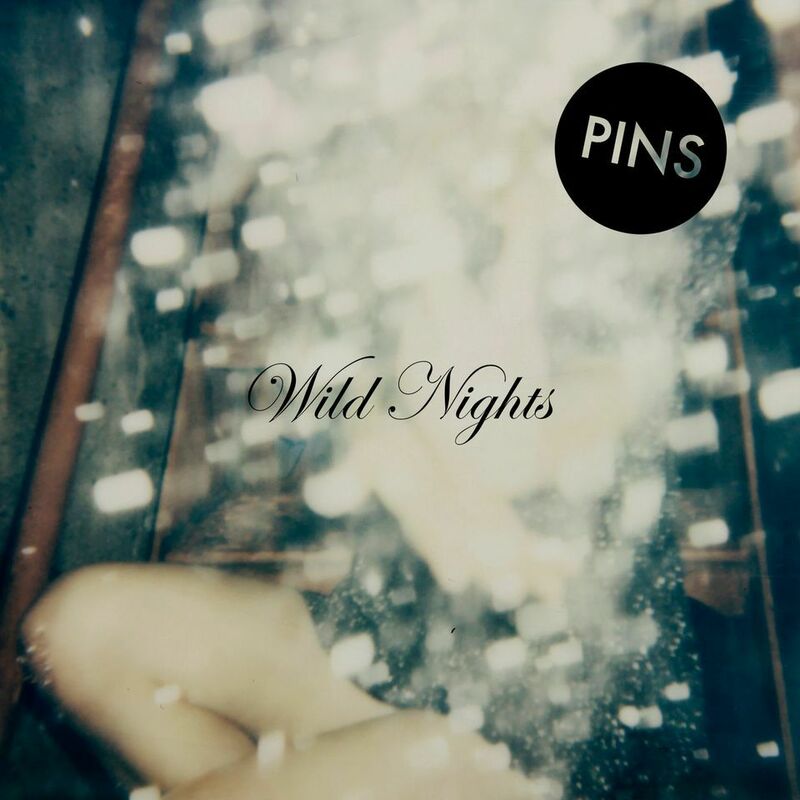 PINS should be proud of Wild Nights.